We’re a full-service provider and a global network of creative and technical talents. Our business is to turn visions into reality – worldwide. Whether architecture or multimedia show, fixed or temporary installation: Our team calls upon 25 years` experience in delivering solutions for the entertainment industry and architectural lighting. In order to fulfill the highest expectations we have the latest event technology at our disposal.  With the AO Creative Alliance you’re working with the best. Uniqueness is the result. Creators of strong visual and media effect. How we do it. We use the fascination of light to create unique and unforgettable sensory experiences and connect the audience with your brand. With light, lasers, video mapping, drones, augmented reality and other high impact mediums we turn your event, your opening or closing ceremony and your architecture to a breathtaking, one of a kind happening. From the first sketch to the implementation – you get everything from one single source. When designing and realizing a project we attach particular importance to a strong visual and media effect. Take a tour through a selection of our light designs, illuminations and video shows worldwide. See the wide range of possibilities to boost your event, festival or ceremony. Find out more about the Guinness World Record for our multimedia show “Light Up 2018” which was the biggest lighting installation in the world for a New Year event.